At about twice the size as most post cards, out high-impact jumbo (11"x6") postcards stand out in the mail without increasing your postage costs, generating awareness of your company's products and services. Learn more about Jumbo Postcards. We can help you reach a specific demographic group within a community. For a limited time only, you can receive absolutely FREE a report of the number of individuals most likely to use your products and services within a targeted area. By using the most up-to-date consumer information available, we can identify the number of prospects in your area of interest. Get your free report today by calling 614-777-7620 or toll-free 877-625-5364. Some restrictions may apply. Learn more about Prospect Count Reports. A well designed, attractive brochure can be an ambassador for your business, helping you to influence potential and existing customers. 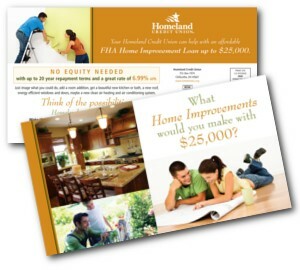 Learn more about Sales Brochures. Copyright © 2008 Small Dog Printing. Web Design by Small Dog Printing and Master Web Designers.